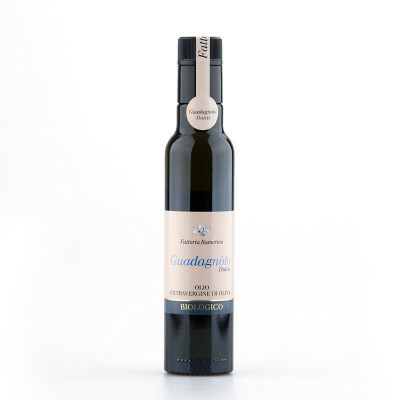 A medium fruity olive oil with notes of almond and dried fruit. 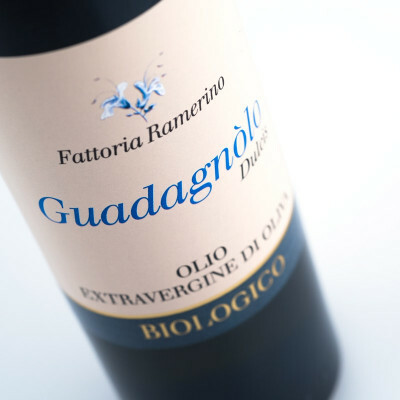 Named after a distinctive terracotta jar that was recovered on the landscape - a Guadagnolo - these jars are now nearly impossible to find, and known only through the stories of locals, passed down through generations. This oil thus portrays the setting's natural aptitude for olive oil production and the country's long history with the golden nectar, as well as the rural acknowledgement that every drop of it was precious. Guadagnolo Dulcis has a fruity olive oil taste that's of medium intensity, with notes of almond and dried fruit. There's a perfect balance between the pungent flavours and natural bitterness. This olive oil works especially well with dishes where olive oil is the main ingredient, so it can take centre stage. The typical garlic bread of Tuscany is called fettunta and distinguishes itself from its other common counterparts due to being generously drizzled with a good quality olive oil - cue a bottle of Cultivar Frantoio. It also works well with pinzimonio, an olive oil based dip you eat with crudités, or drizzled over fresh, grilled fish.